Today is the 70th birthday of Boris Spassky, the world champion of chess from 1969-72. (Hat tip: Susan). His career has had so many triumphs, it's unfortunate Spassky is remembered primarily for the high-profile defeat he suffered at the hands of Bobby Fischer in 1972. He's a great champion, and he continues to be active in chess. In fact, when he suffered a minor stroke recently (from which he has recovered, I believe) Spassky was giving a chess lecture at the Mechanics Institute in San Francisco. Read more at Chessbase. Happy birthday, Mr. Spassky, and many happy returns of the day. 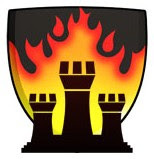 Chess Notes from Hither & Yon: “Got chess?” is the rhetorical question coming out of Lansing, Michigan, and the answer is a resounding affirmative for the city, which will host a weeklong chess festival in March. Even DaMare is involved. What a great idea! Can we have something like this in Chicago? . . . 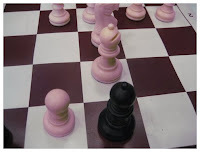 The 64 Square Jungle, the leading chess blog in Illinois and the Midwest, provides some perspective, courtesy of GM Dmitry Gurevich, to a chess controversey that has festered in the media. Computer software plays a big role in chess education these days, and the Fritz and Chester series, created by the German company Chessbase and distributed in the U.S. by Viva Media, includes so me of the most popular chess teaching software available. The programs teach basic chess skills through the use of stories, generally struggles between two kids and a dastardly king. The first two titles in the series won a host of awards, and now the third and newest program, Chess for Winners, has gotten a favorable review in USA Today. This program apparently emphasizes tactics, perhaps the most important aspect of the game for young chess players to master. I’ve only seen the second title in the series, but I found it clever and entertaining. I’d say it’s for kids no older than eight or nine. 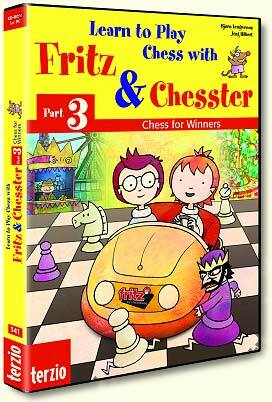 If your child is that age or younger, and you’re looking for software to help him or her improve at chess, you may want to consider Fritz & Chesster. If your child already knows the rules and other basics—which is probably the case if he or she is in the Ray School Chess Club—skip the first title and move on to two or three. Have you had any experience with this or other chess software? If so, please tell us about it by leaving a comment. Thanks. Congratulations to Whitney Young High School chess star Kayin Barclay, who, as the number-one high school chess player in Illinois, is the subject of of an article in today’s Chicago Sun-Times. Anyone who follows scholastic chess in the Chicago area is familiar with Kayin’s exploits, which include, among many other things, a victory last year over a top grandmaster. Now, thanks to this richly deserved recogntion from the Sun-Times, many others will know about him as well. 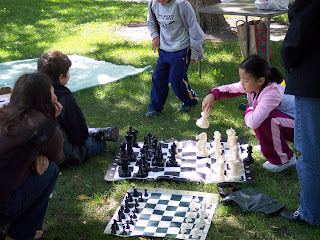 I had the privilege of playing and losing to Kayin last summer at the Warren Chess Scholars exhibition in Grant Park. It was a humbling experience. He was polite and deferential as he set about methodically to crush me like an aluminum can. He won handily, even though at two points during the game Kayin had insisted—politely but firmly—that I take back a bone-headed blunder. Afterwards, he patiently went over the game with me and showed me where I’d gone wrong. I still have the record of that game. I was grateful for the free lesson from such a superior chess player, and as a Whitney Young parent I’m delighted to see the school’s top player getting the praise he deserves. Please read all about it. Update (02/03/07): More Kayin coverage at Scholastic Chess Gateway, Lamarr Wilson's blog, and 64 Square Jungle. Separated at Birth: Topalov and Dracula? This will mean absolutely nothing to you unless you follow chess at the international grandmaster level, but if you do you may find it very funny. Last fall Veselin Topalov and Vladimir Kramnik played a match for the world championship of chess. Kramnik won, but not before some major off-the-board antics by Topalov and his manager, who accused Kramnik of cheating. Since Topalov made his charges when he was behind in the match and offered little evidence for them, apart from the claim that Kramnik visited the restroom too often, Topalov has since become something of a pariah among chess fans. Now a French chess blog has come up with this unflattering comparison between Topalov and . . . well, see for yourself (hat tip: Boylston). Apologies if you’re a Topalov fan. This was just too precious to pass up. No sooner does the Hyde Park Neighborhood Club start a chess class for kids than we find out veteran trainer and chess impresario Wayne Smith plans some courses of his own. One class will begin next Saturday at the Kennicott Park field house at 44th and Lake Park Ave. The price is $85.00 for ten weekly sessions, and there'll be beginner, intermediate , and advanced sections. The other class, which will meet after school, will start in February. 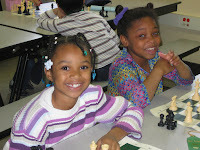 Contact Wayne at 312-217-9062 or wsmith@hydeparkchessacademy.com. Wayne has worked as a chess trainer in schools all over Chicago, including Murray Academy, Ancona, and U of C Lab. His aim is to prepare kids for competitive chess, and as far as I can tell his reputation for succeeding is excellent. Two years ago a Ray student enrolled in Wayne’s six-week summer chess camp and enjoyed it so much he signed up for an additional three weeks. Chess Notes from Hither & Yon: It’s true, as they say, that you really can play chess anywhere, and it’s nice to know that even if you’re traveling in Alaska you can probably find a game. Phillip Parker-Turner and Allen Dai turned in outstanding performances to lead the Ray School team today in a citywide chess tournament at Lafayette Elementary School. Philip went 5.0/5.0—that’s five victories in five games—to finish first in the highly competitive intermediate category of the Youth Chess Foundation of Chicago. By besting all other intermediates the Ray third grader automatically moves into the foundation’s heady advanced division, where some of the best scholastic chess players in Chicago reside. Phillip will be one of the youngest members of that elite club, which includes kids up to eighth grade. Allen’s 4.0/5.0 is remarkable considering he’s a first grader and today’s tournament was only his second as an intermediate. In last month’s Burbank School meet, Allen’s 3.0/5.0 fell just short of trophy qualification, so today’s record was sweet vindication and an indication that he may be joining Phillip in the upper echelon soon. There were other milestones as well. George Vassilatos’s 3.0/5.0 was his best tournament performance to date, and first grader Kaytlyn James won her first tournament game. Other Ray kids who played in the tournament: Michael Averill-Panelas, Jared Clark, Karen Dai, Lauren James, Grant Keller, and James Liu. We’d be remiss not to mention that the team trophy for the beginner category went to our neighbors at the University of Chicago Laboratory School, impressive considering it was Lab's first YCFC tournament. Next up: the March 3 tournament—at Ray! In a follow-up to our earlier post about the McCormick Place holiday chess tournament, we’ve learned that four Ray students who played there earned the title “CPS All Star”: Allen Dai, Karen Dai, Shawn Kim, and James Liu. Congratulations, kids, and thanks for the prestige you’ve brought to your school. Well said. Does anyone know what the chess budget is for the Chicago Public Schools? It can’t be much. . . . Anyone thinking of cutting chess should talk to Laurie Erdman of Eau Claire, Wisconsin, who knows it’s “not just another board game with interesting pieces. . . . It is a brain developer." Laurie has the goods in Education World. . . . And who knew there was a Martin Luther King Day scholastic chess tournament here in Illinois? Not us. Thanks to the Bloomington Pantagraph we do now. Sounds like it was fun. What is a pantagraph, anyway? “Our motto is ‘Independent in everything. Neutral in nothing.’"
We have photos from recent chess club events, including the December tournament at Burbank School and our fall picnic. There's more to come, but enjoy these for now. Thanks to chess mom Sharlene Holly for the Burbank pix. If you're playing chess at home, or anywhere else, please take pictures and send them in. Would anyone like to take photos at a Monday chess club meeting? And don't forget next Saturday's tournament at Lafayette. Please let me know if you're going. 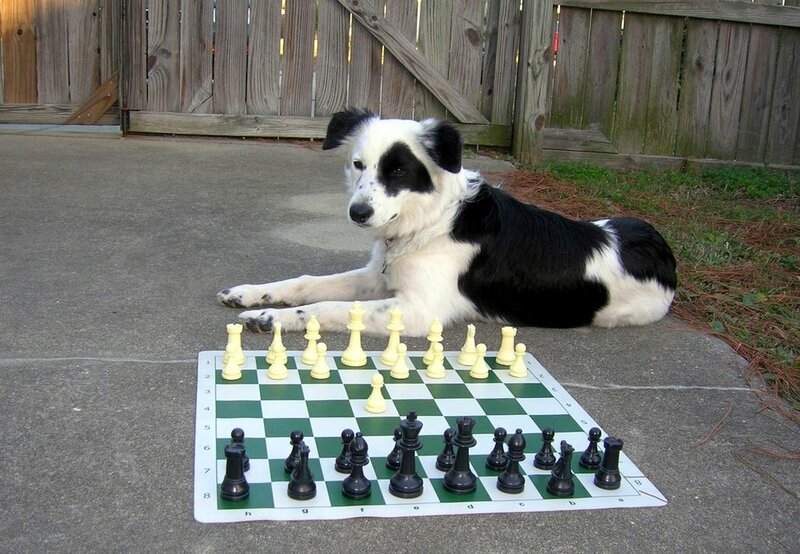 To the list of human endeavors that have been affected by global warming, you can now add chess. A cross-continental match this week between a team in London, led by Grandmaster Nigel Short, and another in Moscow headed by former world champion Anatoly Karpov, had to be rushed because the temperatures in both cities were unseasonably warm. What did the temperatures have to do with it? The game was enacted outdoors in both cities, with huge chess pieces made of ice. With the mercury at 55 degrees Fahrenheit in Britain and 41 in Russia, it was a race against the clock—and not just the chess clock—to complete the game before the pawns disappeared. The contestants succeeded in finishing with the pieces intact, and the game ended in a draw. Details from the Seattle Times and Chessbase. See the game here. "Phillip played on January 7 at the Glenview Winter Classic (Chess in Chicago organizers). He tied for first place in the 2-3 category, but the real thrill was yesterday when we looked up his updated rating and it hit the 1200 mark! Needless to say, we're all thrilled." And so are we. Chess ratings reflect playing strength based on competition against others. If the number 1200 doesn't mean anything to you, let me put it into context. Take a look at this now out-of-date list from early December of the top 100 eight-year-old chess players in the country. You’ll see that Phillip, with a rating of 1144, is number 54 on the list. A glance at the rest of the list suggests that at 1200 he can probably expect to see his rank advance to somewhere near 40 when the new lists come out in February. Yes, that’s right: we’re talking number 40 among all eight-year-olds. In the entire U.S.A. Todo el pais. This is an exceptional accomplishment. It was less than a year ago that Phillip first broke into the national rankings with a rating of just over 1000, so he’s not only good, he’s getting better fast. Congratulations, Phillip. I’ve already sent out an e-mail about the Hyde Park Neighborhood Club chess class, so I hope you’ll forgive me if I flog it one more time. The ten-week class, to be taught by International Master Jan van de Mortel, starts next Sunday, January 14. It costs $150. The class will maintain a 12-to-1 or better teacher-to-student ratio. A bit of backstory: The class is the brainchild of energetic chess mom (and former Ray parent) Mary Stonor Saunders, who got tired of always having to schlep northward for chess activities. Mary also felt—quite rightly, in our humble opinion—that a neighborhood with so illustrious a chess tradition as Hyde Park should have more going on than it does at the moment. She enlisted the help of the University of Chicago, in the person of Duel Richardson, U of C's neighborhood-relations chief, who, recognizing the value of chess, turned to HPNC executive director Peter Cassel, who ran with the idea and brought it to fruition. Thanks and kudos to all three, and here’s hoping it’s the beginning of more chess in Hyde Park. Details here. Experts agree that solving chess problems is one of the best ways to improve your game. In case you haven't seen the latest problems from Coach Emil Sidky, here they are. The first is for beginners, the second for intermediate and advanced players. In both cases it's White's turn to move. Puzzle 1. White to move. Mate in one. Puzzle 2. White to move. Mate in two. That second one is pretty, tricky, isn't it? If you can solve one or both, write down the solutions and bring them to chess club. (For the fundamentals of chess notation, go here, here, and here.) You can download the problems in hard copy here and find previous problems here. The solutions will be included with the next set of problems from the coach. Enjoy! An organization called Chess-Ed is holding an all-girls tournament in Wilmette on Sunday, February 4. (Hat tip: Susan) It's part of the Kumbaya Scholastic Chess Tournaments series, the organizers of which include Alice Holt and Shiva Maharaj, both well-known in these parts for their work with Chicago Chess Kids. I'm happy to say that the Ray School Chess Club now has more girls than ever before, and I hope some of you will consider playing in this tournament. Besides, with a name like Kumbaya, how can you go wrong? Go here for details. Then, if you're really serious, you can enter the 4th Annual All-Girls Open National Championships, March 16-18 at the Palmer House. Ray Chess Players are "All Stars"
Happy New Year to everyone, and congratulations to Ray chess players Karen Dai (4th grade) and Allen Dai (1st grade), who each earned the title of "CPS All Star" at last week's holiday chess tournament at McCormick Place. The tournament was part of the mayor's holiday sports festival, held annually during the last week of the year, while school is out. This year, for the first time, chess was included. Did anyone else from Ray attend the tournament? If so, please let us know. Update (01/08): I understand Ray 4th-graders Shawn Kim and James Liu also played at the tournament. Thanks for representing Ray, guys. Pictures here, at John Buky's site.